Having reviewed the September footage of the Finnbelievable one during the opening weeks of his time in France, let’s look at how his highlights rated on our patented Finnsanity meter. 20 points, 2 tries, 2 conversions (yet only 67% kicking accuracy), 2 penalties, an interception, 3 missed touch finders and a potential try-saving tackle. This was classic Finn. My personal highlight was the no-look pass that almost resulted in the first try. This French rugby lark ain’t so bad. 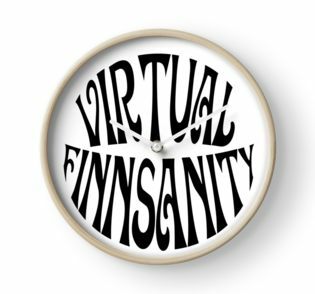 Now, back to the Finnmobile…. Ahh a game with yer olde da, Rugby Jesus himself. Wee Grieg is looking as grumpy as ever, but he has got that yellow mob flying. Poor Finn, set up a try for Vakatawa, but really it was all Laidlaw in the battle of the Scots. Really nothing to write home about because those big bullying forwards kept getting in the way of playtime for Mr Finn..
Decided to head over to Edinburgh. Bumped into the Beard of Scottish Rugby™ and watched all sorts of forward-based nonsense. Is Cockerill a French name? Nice to have some time off to practice some mad dance shuffles and come up with a pet name for Vakatawa. 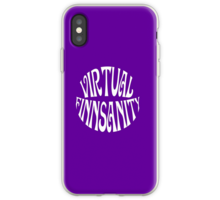 Don’t forget our “Virtual Finnsanity” range of merchandise is available from our shop. Enjoyed this. It might be worth including an additional section rounding up what our other exiles are doing, e.g. The Pud, Super Dunc, Timbo, Little Richie, Dents. It’ll be a short section on Super Dunc. Speaking of Richie Gray whats happening with him? Not been in the Toulouse squad recently. Still injured or fallen out of favour? Could do with his ballast back for AI’s. @MK Here’s a 2+2=5. Big Brian apparently off to Toulon with them buying out his contract. The SRU then buy out the bold Richie’s contract to allow a triumphant return to Scotstoun and reunite with his brother. It seems like Finn is having a great time in la belle France. Brilliant….Finn unfettered.No one in that side HOGGing the plays. Enjoyed this and love that we’re keeping an eye on Finn. Two pre-season performances and now a match winning turn against Stade Francais (incl. kicking consistency) can be added to the list. Forming a formidable understanding with Zebo. When was the last time a Scottish Fly-Half was the stand out performer in the top division in France? 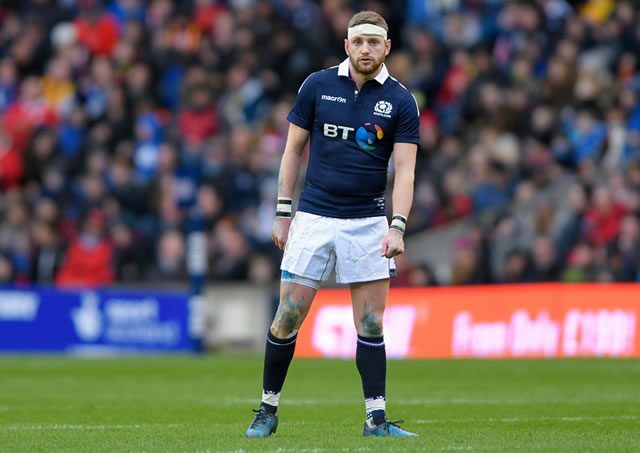 When was the last time a Scottish Fly-Half toppled England home and away running a match-winning Barbarians performance? So, and here’s the point, it’s about time we all recognise he’s a consistent high performer, rather than an unpredictable maverick. It’s the sort of lazy Stuart Barnes / Ugo Monye pedalled received wisdom that could actually affect his performances and international / Lioms career. When the reality is regularly executes in high difficulty, high pressure moments. This year, he’s had only one loss at Racing and rarely turns in a bad performance for Scotland. Other than the last six nations where, arguably, he dipped for two games (nowhere near as badly as was being made out) and that Twickenham away game where the team imploded, I cannot think of any times he’s had a poor international game home or away. Sure, there was a few lack lustre games last season for Glasgow towards the end when he was out the door and his Dad was booted out by the SRU. But much more often than not he’s a match winner – as this weekend / as in pro-12 semi / as against England. Frankly, he’s got some real authority about him this season and looks like succeeding where Sexton and Carter failed… Though Racing still got bossed by Greig. I don’t comment – but everything in this comment is spot on. The lad gets a decent write up on the website (link below) in the match report on the Parisian derby against Stade this past weekend. All round good marks for kicking, getting the line running , being involved in the try and general game management. In line with the comment above by not rocket science, my sense is that the French don’t see him as “mercurial” “flaky” or whatever and are treating his performances with a lot of respect. Let’s hope it continues. he has family in French Martinique and is good buddy’s with Teddy Thomas. Maybe that’s why he’s fitting in so well.